Royal wedding 2018: 16th royal wedding in Windsor CastleThe royal wedding of Prince Harry of England and American actress Meghan Markle is making many statements in the world.ANI | Updated: May 19, 2018, 16:05 IST The royal wedding of Prince Harry of England and American actress Meghan Markle is making many statements in the world. The mini members on the guest list of the royal wedding will play the most important role on the D-day. Now another has been added to the list - the duo will become the sixteenth royal couple to get married at Windsor Castle since 1863 according to the Kensington Palace. The palace shared a listicle documenting the royal marriages at Windsor in over 150 years. The first wedding which the Castle saw in last 150 years was of The Prince of Wales and Princess Alexandra of Denmark in 1863. According to the Kensington Palace, "Prince Albert, the future Edward VII, known to his family as 'Bertie', met Danish Princess Alexandra in 1861 at the Cathedral in Speyer, Germany. He proposed on the 9 September 1862. The wedding took place at St George's Chapel, Windsor Castle, and was witnessed by his mother, Queen Victoria who was seated in the Catherine of Aragon closet. Born on 9 November 1841 as Prince Albert Victor, Bertie was the oldest son of Queen Victoria and Prince Albert, and was baptised at St George's Chapel on 25 January 1842." The second wedding came three years later in 1866 of Princess Helena and Prince Christian of Schleswig-Holstein. "Following their engagement on 5 Decembe r 1865, Princess Helena, who was the fifth child of Queen Victoria and Prince Albert, married Prince Christian in the Private Chapel at Windsor Castle. The Princess was given away by her mother, Queen Victoria, who added a white mourning cap to her black mourning dress. Louise was also accompanied up the aisle by The Prince of Wales and her eight bridesmaids", the description read. Princess Louise and The Marquess of Lorne became the third couple to marry at Windsor Castle in 1871. Their description read, "Princess Louise, the sixth child of Queen Victoria and Prince Albert, married John Campbell, Marquess of Lorne, heir to the Dukedom of Argyll, at St George's Chapel after becoming engaged on 3 October 1870. On the wedding day, Louise wore a wedding veil of Honiton lace that she designed herself, and was escorted into the Chapel by her mother and her two eldest brothers - The Prince of Wales and The Duke of Edinburgh. The couple later became The Duke and Du chess of Argyll." Next came the marriage of Prince Arthur, Duke of Connaught and Princess Louise Margaret of Prussia in 1879. Prince Arthur, the seventh child of Queen Victoria and Prince Albert, married Princess Louise at St George's Chapel. Louise was the daughter of Prince Frederick Charles and was a great-niece of the German Emperor, Arthur's godfather, Wilhelm I. The couple went on to have three children, who were all raised at Bagshot Park in Surrey, which is the current residence of The Earl and Countess of Wessex - who were also married at St George's Chapel, according to the Kensington Palace. In 1880, Princess Frederica of Hanover and Luitbert, Von Pawel Rammingen married at Windsor and became the fifth couple. "Princess Frederica, the elder daughter of King George V of Hanover (a grandson of George III) and Princess Marie of Saxe-Altenburg, married Baron Alfons Von Pawel-Rammingen at St George's Chapel. Alfred Tennyson, th e Poet Laureate, wrote a quatrain in honour of Frederica's marriage, focusing on her relationship to her blind father, who had died two years earlier", read the description in the listicle. Sixth wedding came of Prince Leopold, Duke of Albany and Princess Helena of Waldeck and Pyrmont in 1882. Prince Leopold, the eighth child of Queen Victoria and Prince Albert, married Princess Helena Friederike, the daughter of Georg Viktor, reigning Prince of Waldeck-Pyrmont at St George's Chapel. On the wedding day, Princess Helena was given away by her father and her brother-in-law, King Willem III of the Netherlands. The Prince of Wales and The Duke of Connaught acted as the Groom's Best Men, as per the Kensington Palace. In 1891, the Castle saw its seventh wedding - of Princess Marie Louise of Schleswig-Holstein and Prince Aribert of Anhalt. Kensington Palace said, "Princess Marie Louise, a granddaughter of Queen Victoria, followed in the footsteps of her parents, Princess Helena and Prince Christian, when she married Prince Aribert at St George's Chapel. Prince Aribert was the third son of Frederick I, Duke of Anhalt and Princess Antoinette of Saxe-Altenburg." Princess Alice Mary of Albany and Prince Alexander of Teck married in 1904 and marked the eighth wedding. Princess Alice, a granddaughter of Queen Victoria, also followed in the footsteps of her parents, Prince Leopold and Princess Helena, by marrying Prince Alexander at St George's Chapel. Prince Alexander was the brother of Princess Mary, The Princess of Wales (later Queen Mary, consort of George V). The couple later became known as The Earl and Countess of Athlone, said the Kensington Palace. Just a year later, in 1905, Princess Margaret of Connaught and Prince Gustaf Adolph of Sweden married at the Windsor Castle. Princess Margaret, the daughter of The Duke of Connaught, whose wedding took place at St George's Chapel in 1879, married Prince Gustaf who later became King Gustaf VI Adolf of Sweden. The couple met during a visit to Egypt, and Gustaf proposed during a dinner held by Lord Cromer at the British Consulate in Egypt. One of Margaret's wedding presents was the Connaught tiara, which remains in the Swedish Royal Jewellery collection today. The year 1919 saw the 10th wedding at Windsor, of Lady Helena Cambridge and Major John Gibbs. According to the Kensington, Lady Helena, who was the daughter of the Marquess of Cambridge and niece of Queen Mary, married Major Gibbs of the Coldstream Guards at St George's Chapel. Then after a long time, in 1957, came the next wedding - of Anne Abel Smith and David Liddell-Grainger. Anne, a granddaughter of The Earl and Countess of Athlone, married David Liddell-Grainger at St George's Chapel. In 1904, The Earl and Countess, then Prince Alexander of Teck and Princess Alice Mary of Albany, had also married at St George's Chapel , said the Palace. Next one came in 1992, when Lady Helen Windsor married Timothy Taylor. Lady Helen Windsor, the daughter of The Duke of Kent, married Timothy Taylor at St George's Chapel. Helen wore a dress designed by Catherine Walker, which was inspired by the architecture of the wedding venue. The year 1999 saw the thirteenth wedding - of Prince Edward and Sophie Rhys-Jones. Prince Edward, The Queen's youngest child, married Sophie Rhys-Jones at St George's Chapel. The Earl's two brothers, The Prince of Wales and The Duke of York acted his supporters during the Service. After the ceremony, the newly married couple rode in an open, horse-drawn carriage around the town of Windsor. Edward was created The Earl of Wessex on the morning of the ceremony, and the couple is now known as The Earl and Countess of Wessex, said the statement. Then in 2005, when Prince Charles remarried after the death of Princess Diana, it became the fourteenth w edding at Windsor Castle. He married The Duchess of Cornwall. The statement read: The Prince of Wales and The Duchess of Cornwall were married at a civil ceremony at Windsor Guildhall. A Service of Prayer and Dedication at St George's Chapel followed. The Service was attended by The Queen and The Duke of Edinburgh, and was led by The Archbishop of Canterbury. The Duchess's flower bouquet contained daffodils, jasmine, Lily of the Valley, pink and cream lillies, camellias, hydrangeas, and rose which came the garden at Highgrove House. Then in 2008, the youngest son of Queen, Peter Philips married Autumn Kelly and became the couple number 15 to be married at Windsor Castle. Peter Philips, the eldest child of The Princess Royal and The Queen's first Grandson, married Autumn Kelly at St George's Chapel. Now the next couple in row is Prince Harry and the people's princess, Meghan Markle. The royal wedding is scheduled for Saturday, May 19. The description read, "Prince Harry and Ms. Meghan Markle have chosen St George's Chapel as the venue for their wedding. 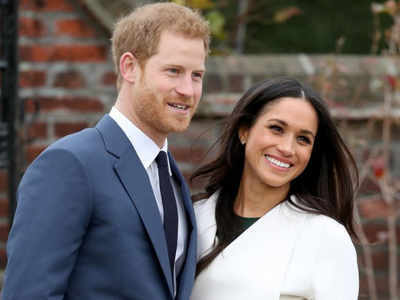 The couple also announced plans to involve members of the public in their wedding day by inviting 2,640 people into the grounds of Windsor Castle. They will be able to watch the arrivals at St George's Chapel and the carriage procession as it departs from the castle." You need private life insurance. Hereâs why. Would you believe what Indians wear on Holidays? Will Yeddyurappa be able to complete his tenure?